It wouldn’t be right to kick off our new “Drink of the Week” feature with any less of a beverage than this most durable but paradoxically most intimidating of cocktails. It’s the strong but perfect before dinner drink. 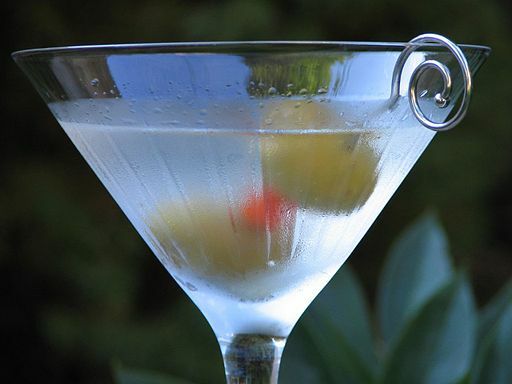 A million things have been written about martinis, but the first thing you need to realize is that it’s a specific cocktail and not just any liquid poured into a martini glass. We love a good chocolate martini, because it’s chocolate, but it’s no more a martini than a chocolate bunny is a rabbit. A cosmopolitan is also not a martini; it’s a freaking cosmopolitan. Now, note that this is a starter recipe. 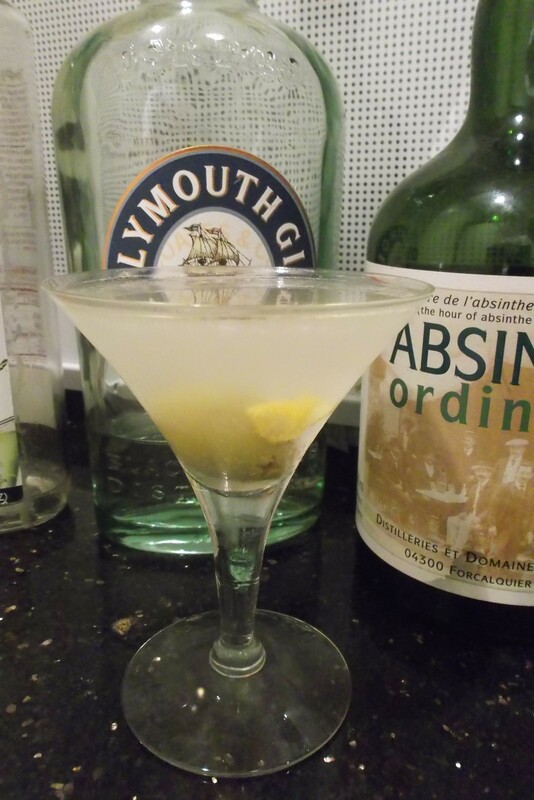 You’ve doubtless heard of the dry martini. It’s possible that the term once simply referred to dry vermouth, but in common usage this is one with very little vermouth. From the “M.A.S.H.” TV series, to “Auntie Mame,” to Luis Buñuel’s surrealist comedy classic, “The Discrete Charm of the Bourgeoisie,” the extremely dry martini has been lionized and joked about endlessly in low, middle, and high culture. Feel free to experiment in the direction of less vermouth, reducing the amount as much as you dare. It’s even legitimate to make your martini a la Mame Dennis (Rosalind Russell, in the movie) and pour a small amount of vermouth into a glass and then simply discard it, filling it with extremely cold strained gin or vodka afterward. This can work particularly well with vodka. We’re pretty sure, however, that Luis Buñuel was kidding in his autobiography when he suggested merely having a ray of sunlight pass through a vermouth bottle on its way to a gin bottle. Importantly, don’t be afraid to go in the opposite, not-so-dry, direction. Many would call our recipe, which is in fact similar to what you’ll find on the back of vermouth bottles, a bit overly “wet,” particularly for vodka. Nevertheless, it’s good to use a significant amount of a good brand of vermouth. (Señor Buñuel’s choice of Noilly-Pratt is our default.) The martini is, after all, a cocktail not just a gussied up shot. We’ve even been experimenting with a drink called, “the fitty-fitty” which is, as you would expect, 50 percent gin and 50 percent vermouth. Done right, it’s an extremely smooth martini and highly recommended. Moving on, our take on the shaken vs. stirred debate is that shaking works really well for vodka martinis, which is what James Bond is mostly ordering in the movies, and we’re still making our mind up about how it works with gin. We’ve had good and less good gin martinis made both ways. We hope to return to the shaken/stirred and dry/not dry dichotomies at some date in the not-so-immediate future as we continue to explore classic cocktails. For now, just remember that martinis are very much a case of trial and error with your taste buds, but even the errors should be fun.